A passion for excellence has been a constant driving force for Dr. James Childress. Attending UC Davis he graduated with High Honors with a BA in Zoology and was elected to both Phi Beta Kappa and Phi Kappa Phi national honor societies. He expanded his outlook on life by spending his junior undergraduate year studying abroad in West Africa and was also a member of the Varsity tennis team at UCD. Dr. Childress attended UC San Francisco School of Dentistry where he earned several awards for clinical excellence, served as class president and was elected to Omicron Upsilon Kappa National Dental Honor Society. Following graduation from dental school he applied for and was selected to a prestigious general practice residency program at UCLA, enhancing his training in diagnostic, restorative and surgical aspects of dentistry. Early in his career Dr. Childress was a clinical instructor at the UCSF School of Dentistry and was honored with a most outstanding instructor award. 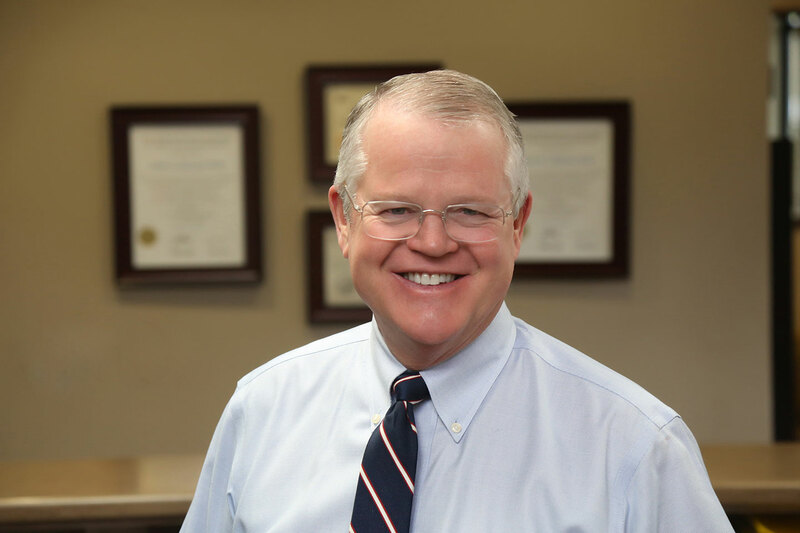 Dr. Childress has provided dental care for the residents of Davis and surrounding communities for more than 30 years. His reputation for excellence in the quality of personalized care he provides his patients has been recognized both locally and nationally. Dr. Childress has been voted “Best Dentist in Yolo County” by the readers of the Davis Enterprise newspaper 13 years in a row! The Consumer’s Research Council of America, a Washington D.C. research organization lists Dr. Childress as one of America’s Top Dentists. Giving back to his profession is something Dr. Childress holds dear. He served as President of the former Yolo County Dental Health Foundation for many years, helping raise money to provide treatment for those in need of dental care. He continues to donate his skills in a local area clinic for patients without other resources for care. Dr. Childress is supported in his profession and shares his life with his wife, Lucinda, and their two sons, Parker and Eliot. When not at work Dr. Childress is an avid woodworker and bicyclist and enjoys doing family things. The Childress family resides in Davis and shares their home with 2 kitties and their third and fourth sons in the form of golden retrievers, Buddy and Max.